Experience the First World War through the eyes of four very different people who took part in it. The General — Douglas Haig commanded the British Army on the Western Front for the greater part of the First World War. Decisions he made cost many lives and still cause controversy today. 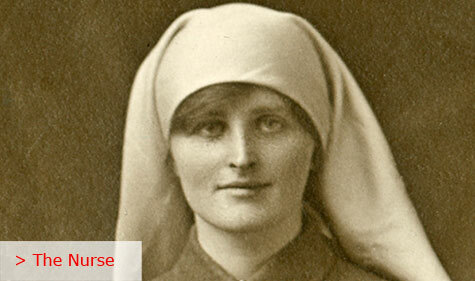 The Nurse — Mairi Chisholm nursed the wounded heroically at the Belgian front line from 1914 until a few months before the Armistice that ended the Great War. She was only aged 18 when war began. The Soldier — George Ramage left teaching to join up in 1915. He endured the horrors of trench warfare in Flanders with the Gordon Highlanders before he was wounded and sent home. The Objector — Thomas Hannan saw military service as morally wrong, and was imprisoned in 1917 as a conscientious objector. He spent most of the rest of the war in Dartmoor. '4th Cameron Highlanders at Bedford': Footage from around 1915 showing soldiers wearing battle kilts and marching during training.